In one example, KPMG advised on the development of "patent box" rules, and then issued marketing brochures titled "Patent box: what's in it for you." 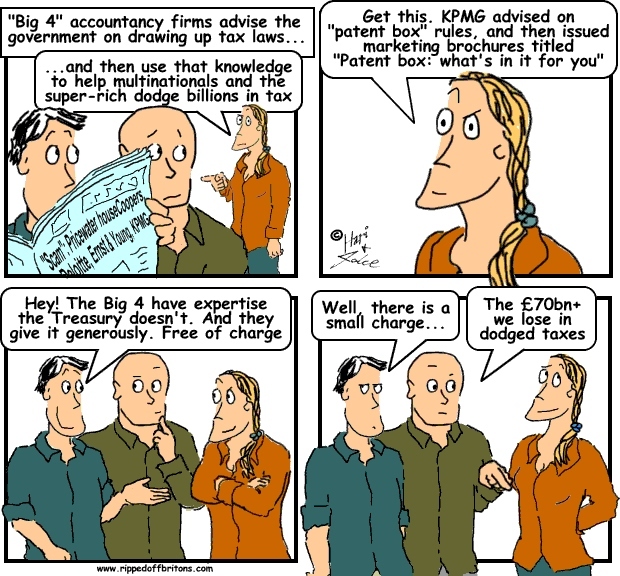 Deloitte, Ernst & Young, KPMG and PricewaterhouseCoopers have provided the government with expert accountants – free of charge - to help draw up tax laws. But the firms went on to advise multinationals and individuals on how to exploit loopholes in legislation they helped to write.